Tristram Riley-Smith (Department of Politics and International Studies) discusses how universities and academics can add insight and depth to national security decisions. In August 1939, the operational head of Britain’s Government Communication and Cypher School, Alistair Denniston, wrote to the Foreign Office about the need to recruit “men of the professor type” into the wartime code-breaking hub at Bletchley Park in order to help combat the Nazi threat. Following the horror of marauding attacks in Paris, the British prime minister has announced he will be recruiting a further 1,900 personnel to the Security and Intelligence Agencies. “Professors” may also be able to add value to these organisations and wider society. The government should not forget the wealth of talent available within our universities to offer insight and depth to the judgments of decision-makers. In my capacity as champion to the Partnership for Conflict, Crime & Security Research, I organised a workshop recently where four leading academics discussed how best to get research on religion and contemporary security challenges in front of politicians, policymakers and the press, to help them deliver better service to the public. The academics were historian of Muslim thought Robert Gleave; Kim Knott who researches ideologies, beliefs and decision-making; Peter Morey who explores trust between Muslims and non-Muslims, and John Wolffe who works on the interface between religion and security. One key message from this debate was that those in positions of authority and influence must overcome the tendency to regard religious issues as marginal until they become a security risk. Religion is poorly understood, and while academic focus on definition can be dismissed as pedantry, there is a need for clarity when talking about religion and security – to avoid millions of devout people around the world being swept into a bucket labelled “terrorist”. For instance, research helps us to draw a distinction between religion and faith. Religion is defined by creed, doctrine, framework and practice; whereas faith is more personal, abstract, emotional and often at some distance from the teachings of established religious institutions. We must improve religious literacy among politicians, policymakers, the press and the general public. In a security context, this should include a more nuanced understanding of the variants of institutionalised religion, while comprehending the universe occupied by men and women of faith. A single office of responsibility in the government could act as a conduit for informing and shaping policy and legislation relating to religion and religious issues, including those linked to security and violence. An immediate priority for the office should be to inform efforts to address radicalisation, Islamophobia and other forms of prejudice. This wouldn’t carry any extra cost if one of the government’s chief scientific advisors was asked to undertake this work, tapping into the wealth of expertise addressing these issues inside the nation’s universities. Opinion-formers, including those in the press, must also resist the simplistic temptation to describe religion as the motive for acts of violence. In the same way, “Third World” insurgents during the Cold War, such as those in North Vietnam, were too easily defined by the Communist ideology they embraced. But closer attention needs to be paid to the relationship between faith and alienation. There is a wealth of research – including historian Kate Cooper’s work into the radicalisation of early Christian martyrs over 1,500 years’ ago – that can help us understand how alienation, especially of young people, leads to a sense of hopelessness that translates all too readily into violent resolve. We must galvanise support for the public sector, faith groups and charities to promote engagement between polarised communities. But this is not a simple matter of issuing a commandment from on-high that: “thou shalt engage in mutually informative dialogue and develop trustful relationships”. Evidence and experience, for instance from Northern Ireland, shows how different the certainties of macro-political strategies can be from micro-realities, leading to communities being filled with mistrust and disillusionment. Interventions tailored to dispel alienation and build trust must reflect local circumstances, with a strong emphasis on “bottom-up” rather than “top-down” solutions. There are some powerful examples of how the arts can operate to communicate religious difference in our complex, multicultural society, but common artistic endeavor can also help heal divisions. For example, the UK-based Berakah Choir works to transcend barriers of faith and culture through collaborative activities, allowing the individual voice to be heard working in harmony with others to build a common humanity. There is much that could be achieved at a low cost to harness the arts to counter alienation. Western governments are deploying a range of strategies and tactics to deal with the threat posed by the so-called Islamic State. David Cameron is recruiting more spies, and parliament is discussing profound changes to the way in which digital intelligence is collected. But we must not ignore the invaluable supply of knowledge and insight available from our men and women in academia. Research can provide evidence-based context to contemporary challenges, including an enlightened understanding of the place of religion and faith in a security context. We can stop mistakes being made in terms of misguided policies and knee-jerk reactions. And researchers can help the design and deployment of interventions that make a real difference, focusing limited resources effectively. 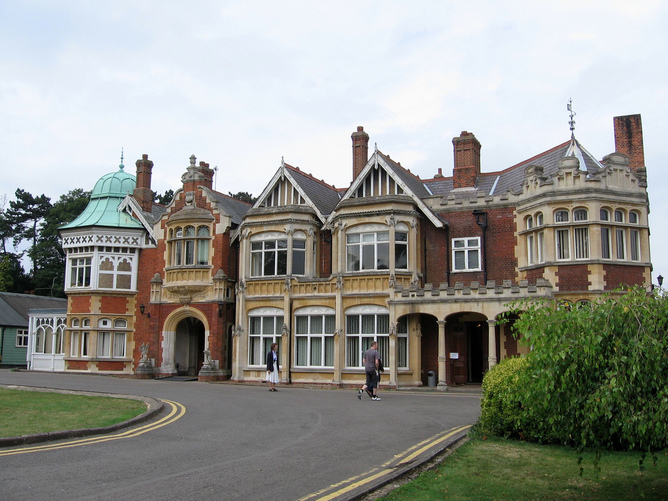 It has been said that the scholars working in Bletchley Park saved countless lives and took one or more years off the duration of World War II. Let us hope that politicians, policy-makers and the press are enlightened enough to make full use of the contribution that university researchers can make to today’s security challenges.